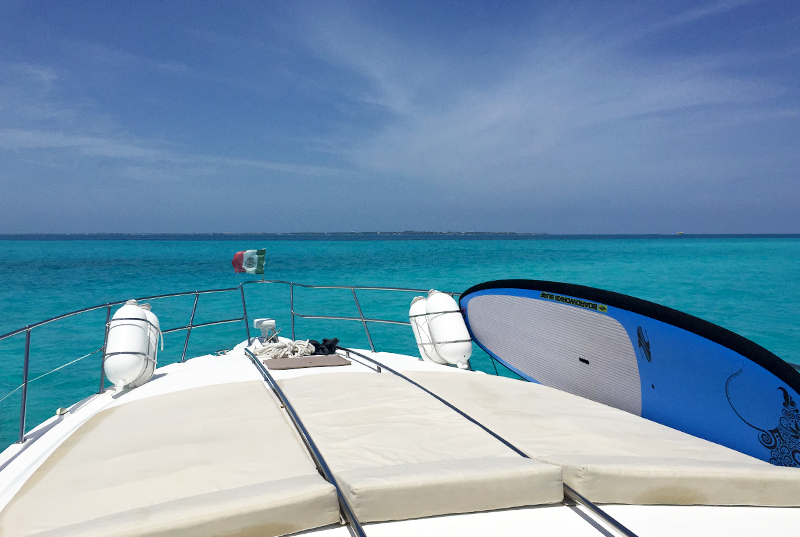 The best options for Cancun yacht rentals, boat rentals, Cancun sailing, Cancun fishing and catamarans in Cancun. 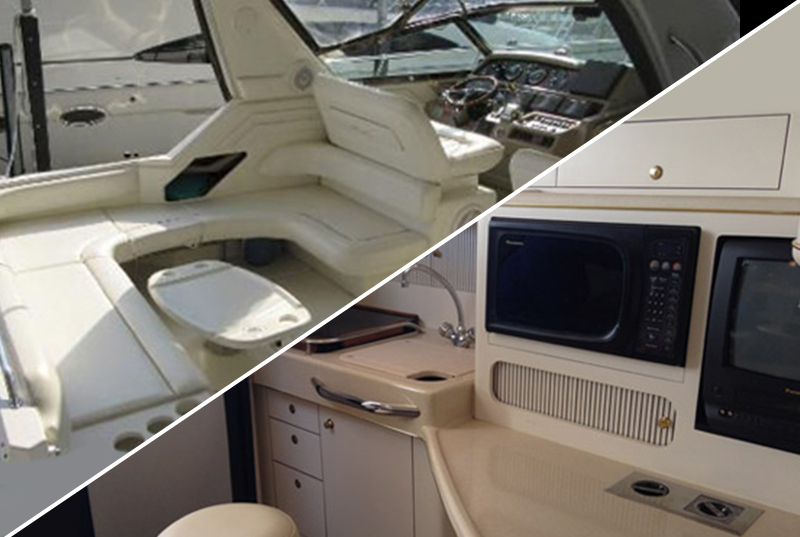 Choose the perfect suit according to your needs, we have yachts and boats with different max capacity, equipment, locations, and always at the best price. Design your own Cancun cruise to Isla Mujeres, Holbox, Contoy, etc. 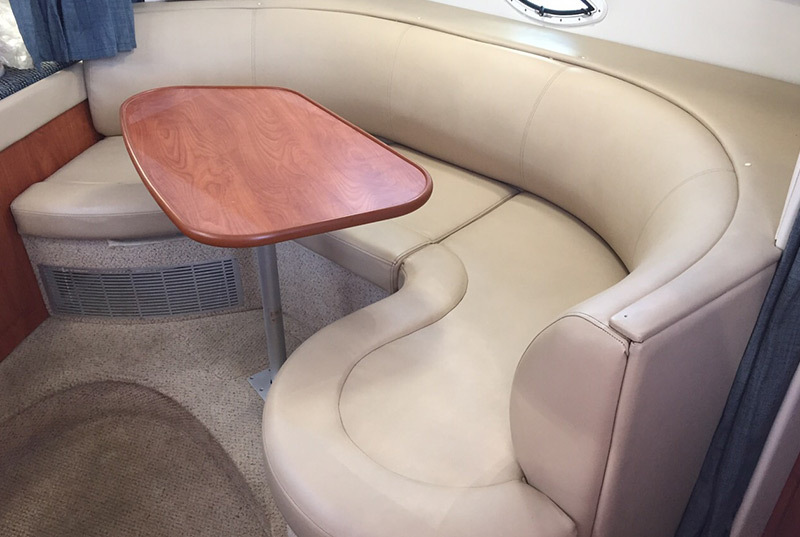 Extremely comfortable and wide yacht, ideal to spend the day with your love ones. Every aspect of your rent comes down to your desires: exceptional relaxation or sensational adventure. 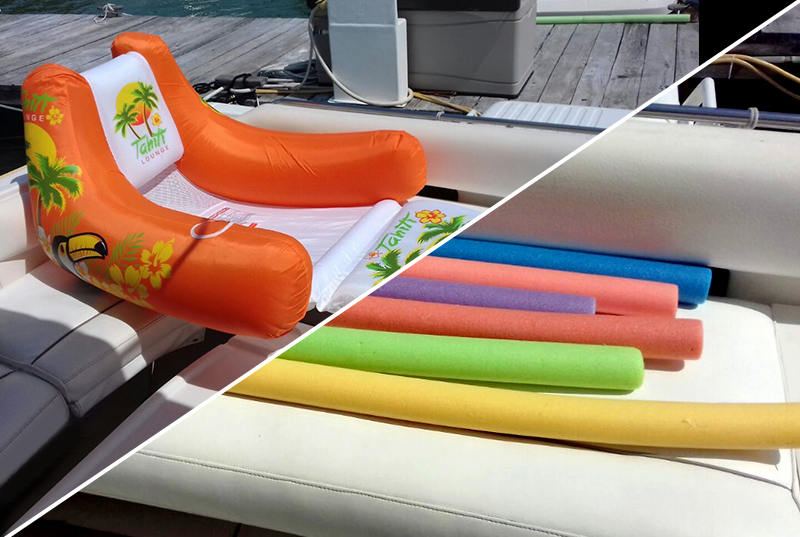 Go to places you’ve only read about while enjoying all of the comforts of a yacht Enjoy a whole range of water toys and equipment : Paddleboard, inflatable rider float and snorkeling gear. 4 hours is enough to do a private Isla Mujeres tour (snorkeling, swim in Playa Norte, walk in downtown) or add extra hours if you're willing to visit places like Contoy or Holbox. Free air conditioned transportation, drinks and snacks are included! You are allowed to bring anything for your self-consume with no extra cost. Stop thinking and book with only a 15% deposit now! 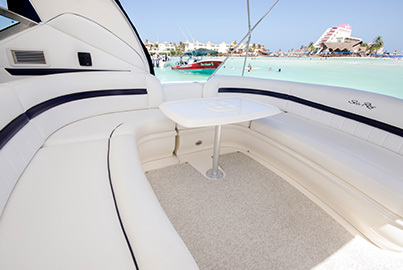 4 Hours Cancun yacht rental. Roundtrip Transportation from hotel in Cancun (transportation from Playa del Carmen or Riviera Maya has extra cost). Captain and 1 staff- waiter service. Drinks: 24 beers, 24 bottled water, 4 big soft drinks (2 litter each),3 bags of dry snacks (lays, peanuts, etc). Snorkeling gear and water Toys. Sun terrace with mats on the front. 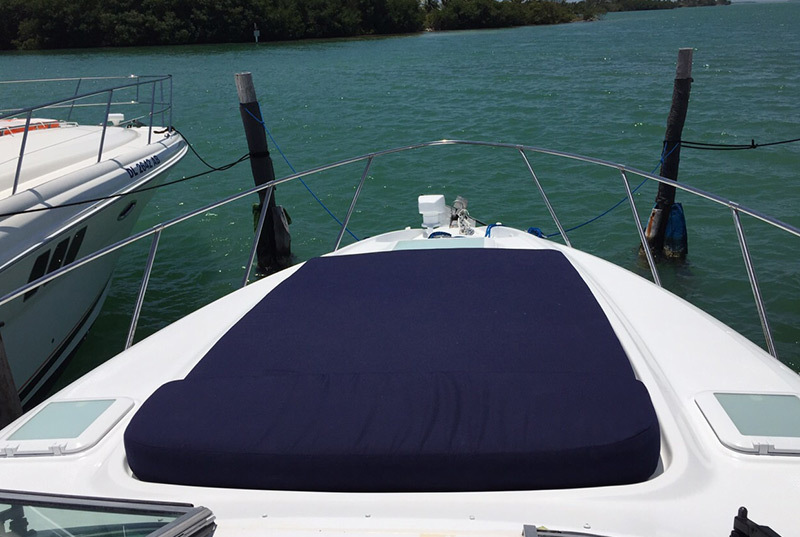 Boat description: Equiped with 2 powerful Caterpillar 300 HP Motor , audio system indoor and outdoor, leds to light up the sea (sunset and night) and wide platform to take sunbaths. 2 Bedrooms, 1 Bathroom, 2 TV, audio system, Ipod Aux, Kitchen, sun terrace. Transportation from Playa del Carmen or Riviera Maya has extra cost. Drinks and food not listed on the product description. Extra hour has cost of $210 usd. Refund 100% canceling 48 hours in advance. Refund 50% canceling 48-24 hours in advance. Canceling on the activity day or not taking the tour will be marked as "No Show" and non refund will be done. 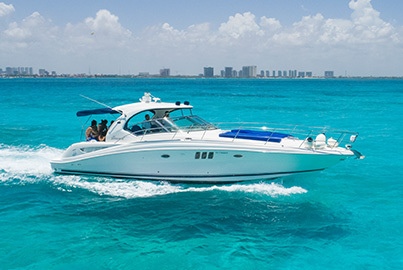 Ride to the beautiful Isla Mujeres from Cancun on a private yacht. 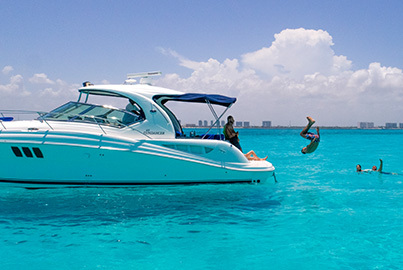 Share your Cancun Yacht Experience with up to 12 people. 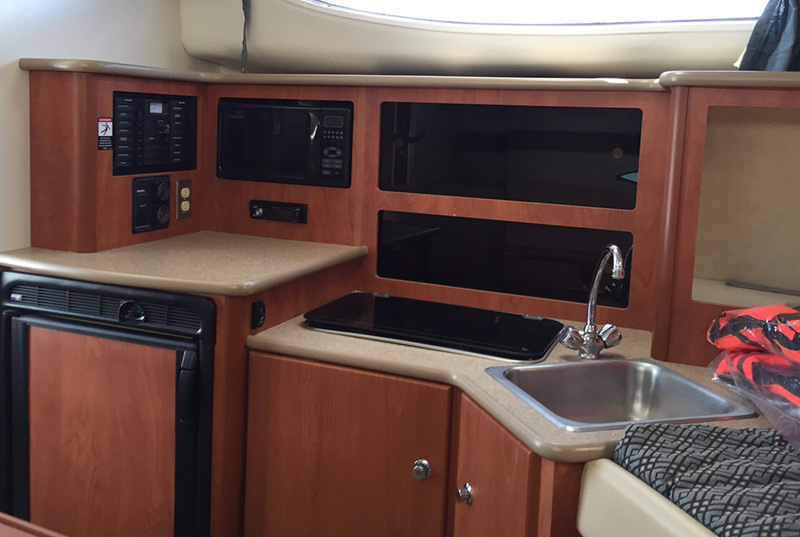 Transportation, snorkeling gear, drinks and snacks are included! Select meeting point, departure time and itinerary, all details comes down to your desires! 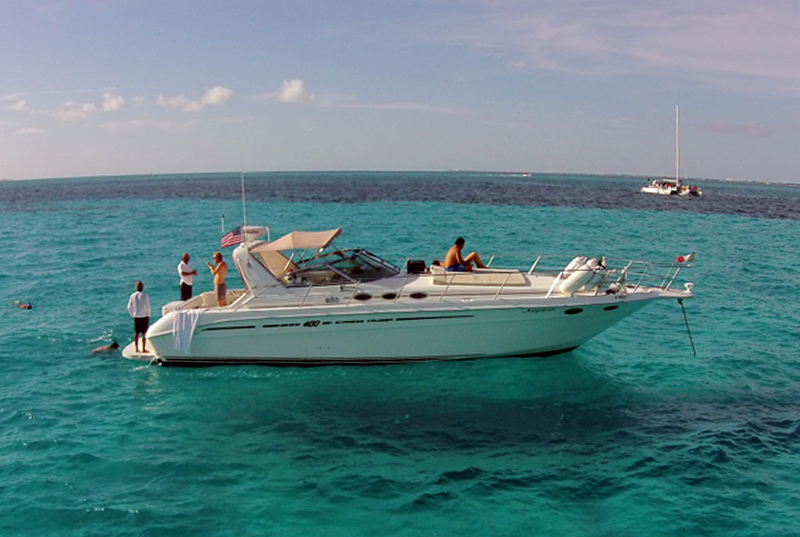 Book the perfect Isla Mujeres yacht excursion here! 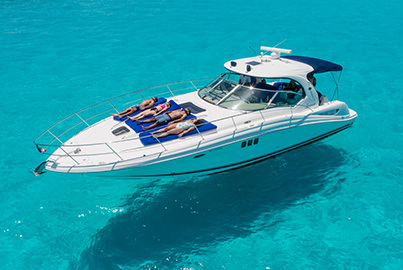 5 Hours Cancun yacht rental. 45ft. 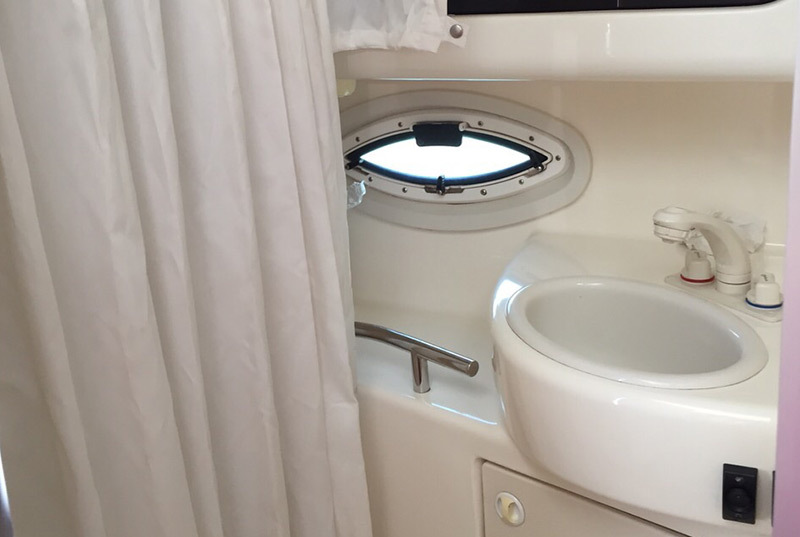 Yacht with capacity for up to 12 people. Roundtrip air conditioned transportation from hotel in Cancun . Drinks: 24 beers, 2 liquor bottle (rum, vodka or tequila), 12 bottled water, 4 big soft drinks (2 litter each),snacks (lays, peanuts, etc). You are allowed to bring anything for your self-consume with no extra cost. 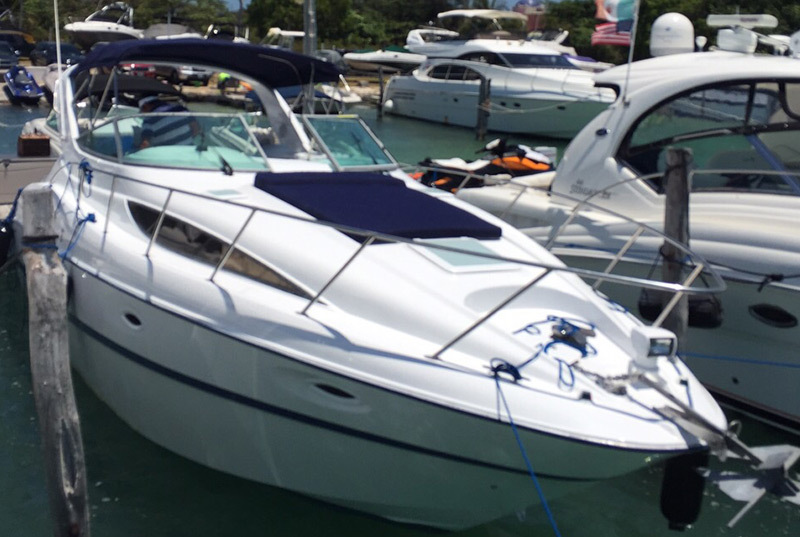 Boat description:: Equiped with 2 powerful 500 HP Motor, air conditioning, audio system indoor and outdoor, wide platform to take sunbaths. 2 Bedrooms, 2 Bathroom, TV, audio system, Ipod Aux, Kitchen, sun terrace. Tips for the crew (optional). 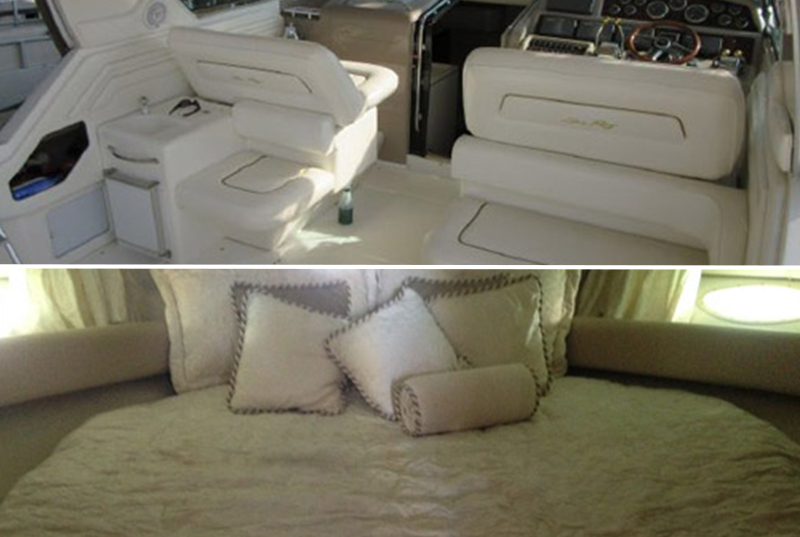 Extra time (available at extra cost $200usd per hour, payable on board). A responsive letter must be signed before boarding. The complete amount must be covered before boarding. In case of requesting extra time once you are on board, the service will be subject to availability. We recommend to book the whole rental time in advance. The service is subject to availability. The tour is not confirmed until receiving the confirmation email (within 1-24 after your purchase). 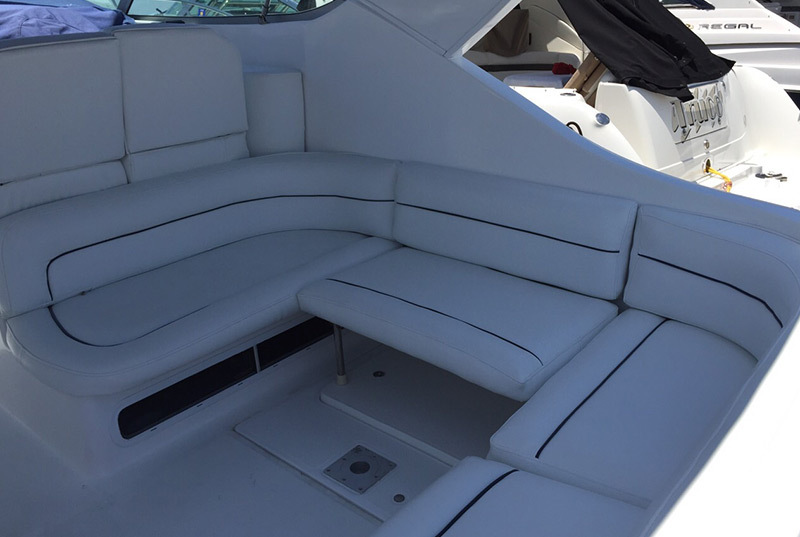 Comfortable, practical and versatile Bayliner 30.5 ft, ideal to take a ride with your friends or family. 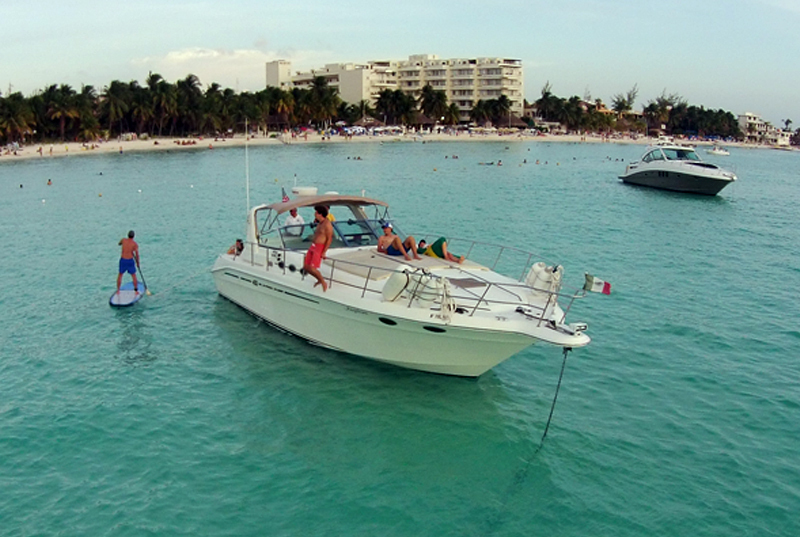 Enjoy a trip to Isla Mujeres, Cancun beaches or Nichupté Lagoon. 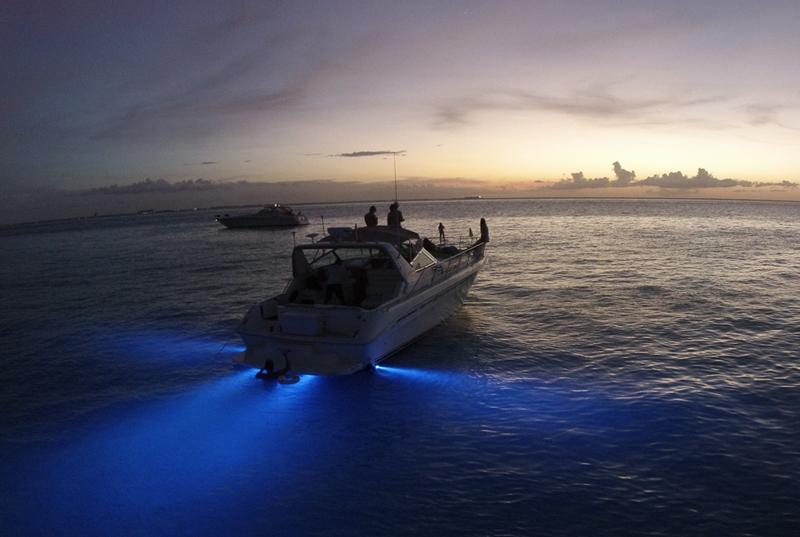 Choose day, sunset or night, your boat rental is tailored to your needs. Perfect to celebrate any occasion: Birthday, romantic dinner or bussiness deals. 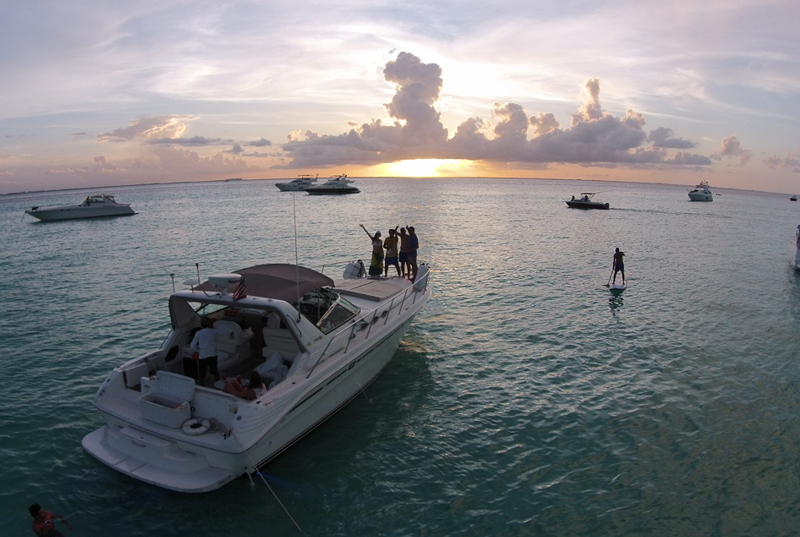 Free transportation, snorkeling gear, drinks (12 beers, 12 soft drinks, 12 bottled water), and snacks are included. Everyone is allowed to show off once in a while, it's your turn today, book now! 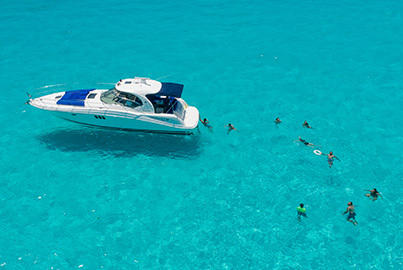 4 Hours Cancun boat rental. Drinks: 12 beers, 12 bottled water, 12 soft drinks, bag of dry snacks (lays, peanuts, etc). Snorkeling gear and lifevests . 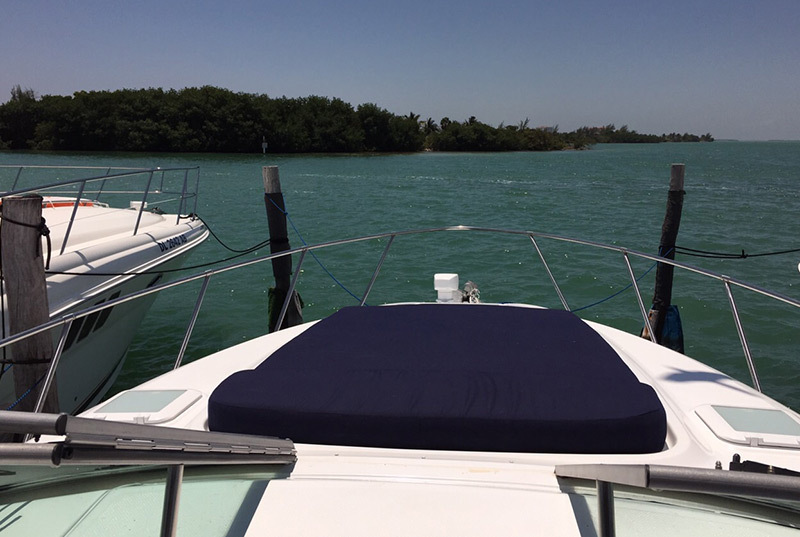 Boat description: Equiped with 2 Mercruiser Motor , audio system and area to take sunbaths. 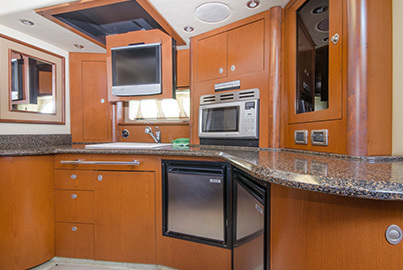 1 Bedrooms, 1 Bathroom, audio system, Ipod Aux, Kitchen, sun terrace. Extra hour has cost of $160usd.